Kettle, hair dryer and all kitchen appliances are available. Solar energy by taking advantage of the hot water service is 24 hours. Our Apart Hotel has washing machines too. Highway : Especially Istanbul, Ankara, Izmir, Aydin and Mugla to the various bus companies time to marmaris by road can be found. 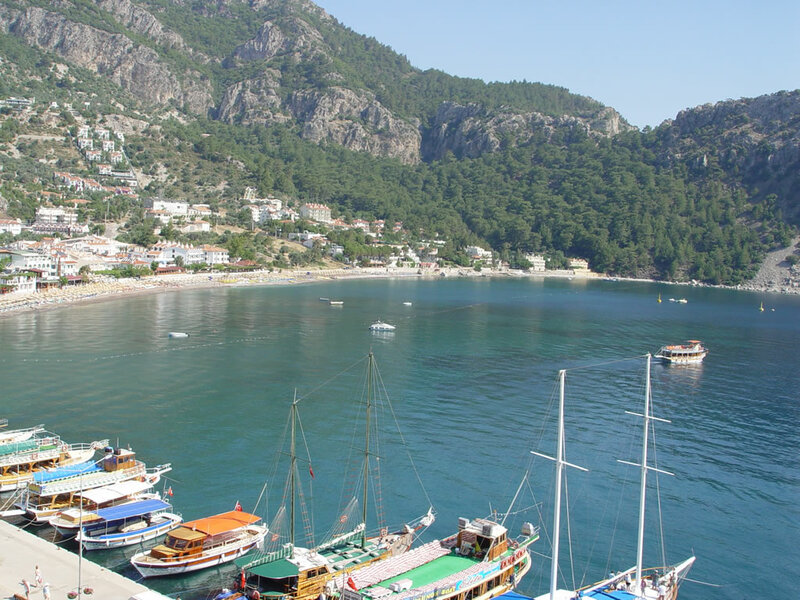 There are regular flights between the minibus Turunç Marmaris. If you go to your private vehicle, 20 km from Marmaris with a magnificent view of the Turunç. Airways: Flights from Istanbul, Ankara and Izmir to Dalaman Airport then you can reach from 110 km by the land through the Turunç. 20 km away from Marmaris to spend the holiday at Turunç and wonderful nature of the Turunç would not be forgotten. Beekeeping in the area with thyme, bay, sage, citrus, grapes, melon, watermelon is out of production. These natural products add beauty to the natural beauty of Turunç and for a long holiday. Daily trips from Turunç and you can make trips to holiday resorts. Suitable alternative accommodation is available in the area of the environment in the cove Land and boat tours, if you can do with these guides to accompany you to the region.